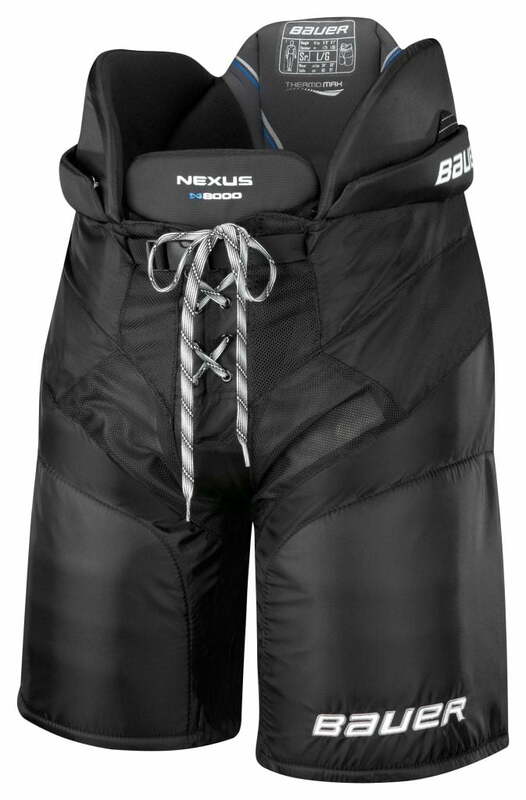 Bauer Nexus N8000 Senior Hockey Pant | Sports Etc. The Bauer Nexus N8000 pant has a classic construction, which offers a wide, volume fit that allows for an effortless stride. Molded HD foam is located in the spine and kidney guard, which improves impact protection. Hydrophobic mesh liner improves breathability and adds comfort. Sports Etc Performance To Value Rating– 9 out of 10. A protective pant at an affordable price. Great for all junior sized players.